Brandon is conveniently located just east of Tampa. Brandon and surrounding area such as Apollo Beach, Riverview, Ruskin, Seffner, Valrico, and Lithia comprise one of the most highly sought after areas in the Tampa Bay region. Known for its convenient location, affordable property prices, and amazing natural beauty… come see what all the talk is about. Those interested in residential real estate in Brandon will find many types and styles of homes for sale in Brandon, as well as community events of interest and local amenities unique to the Brandon area. Others may enjoy outdoor activities and family friendly atmosphere of Brandon. If you are considering buying or selling property, planning to relocate, looking for Brandon homes for sale, or looking for any other information about real estate in Brandon, or the surrounding areas, you have come to the right place. The Brandon area and surrounding vicinity offer many award-winning master planned communities such as Covington Park, FishHawk Ranch, MiraBay, or Panther Trace, just to name a few. Live amongst the natural beauty of the area has been diligently preserved. 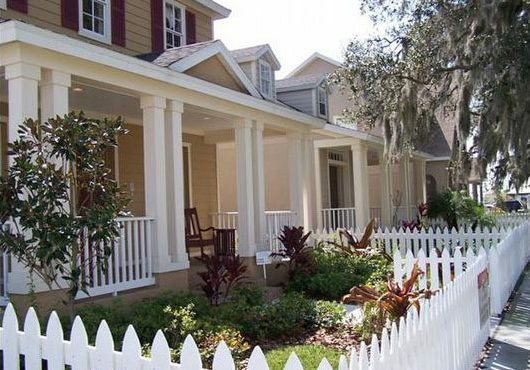 FishHawk Ranch is Tampa’s first residential community to be certified “green” by the Florida Green Building Coalition and boasts nearly 30 miles of trails serve to connect the parks, amenities and villages. MiraBay is located on beautiful Tampa Bay and offers an unspoiled waterfront lifestyle to be envied. Enjoy the many lakes and parks, canoe and kayak along the Alafia and Little Manatee Rivers, and savor in the sweet lifestyle offered by living on the sparkling waters of Tampa Bay. Brandon and vicinity boast many wonderful fresh and new communities. Many homes are built by builders such as Arthur Rutenberg, Ashton Woods, Bayfair Homes, Beazer Homes, Cardel Homes, Centex, David Weekley, D.R. Horton, Homes by WestBay, K. Hovnanian, Standard Pacific Homes, M/I Homes, , Pulte, Meritage Homes,Taylor Morrison and many others. Brandon is situated about 10 miles east of Tampa, near Florida’s Gulf Coast. Highway 60 is the main corridor where everything can be found from retail shops, restaurants, movie theaters, and medical facilities. Easily accessible from Interstates I-4 and I-75, Quick and easy access to Hwy 301, US 41, and the LeRoy Selman Crosstown Expressway make living here very desirable. Located within minutes of downtown Tampa, Brandon combines small town living with easy access to the big city. There is plenty to do within Brandon itself, but even more when including the beaches and attractions nearby. The city of Orlando is about 90 minutes away from Brandon. In addition to Walt Disney World, attractions in the Orlando area include Universal Studios and Sea World Florida. The Tampa area, only minutes away, has its own share of popular attractions such as Busch Gardens and Lowry Park Zoo. Also, the Tampa International Airport, St. Pete Times Forum, The Florida Aquarium, Tampa, Theater, and the David A. Straz, Jr. Center for the Performing Arts are less than 20 minutes away. All the convenience of city living at a fraction of the cost — come and visit today, come to stay!